Click on image to see a 150-second near side time-lapse movie of 13 lunar cycles. 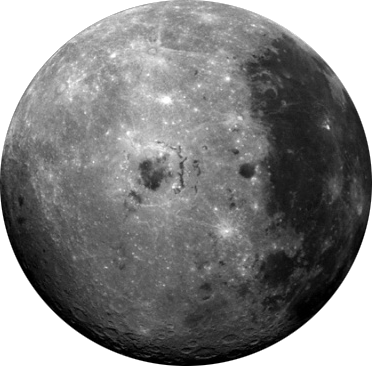 Click here to see a 24-second lunar full rotation movie with text explanation, as seen from the Lunar Reconnaissance Orbiter (LRO). Why Divide Hours into 1080 Parts? Fixed month lengths, obeys all weekday and day counting rules of the traditional Hebrew calendar. Applies the traditional Rosh HaShanah postponement rules to progressively shorter molad intervals. What's new at this web site? I would like to thank my teacher and friend, Rabbi Moshe Ginz, who helped this project progress by encouraging and by spending many hours reviewing the classical sources with me.